Mr. Thanksgiving and his volunteers are preparing to serve turkey, dressing, mashed potatoes, and pie to more than 2,000 people. 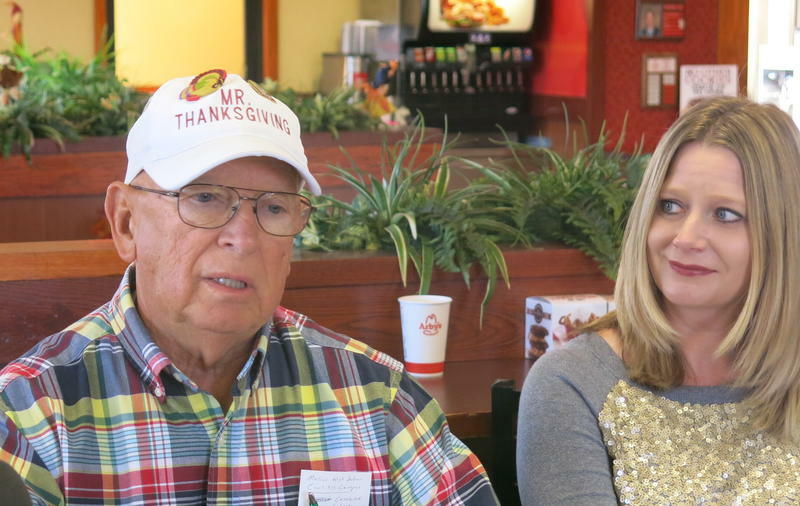 On Thursday, Bob Vogelbaugh will host his 46th annual dinner at South Park Mall in Moline. Vogelbaugh came up with the idea in 1970 while working at his "mom and pop" grocery store. When he asked his more mature customers what they were doing for Thanksgiving, they told him, "It's just another day to be alone." So, he says a "25-watt bulb" went off and he thought, "That doesn't have to be." That first year, Voglebaugh served about 12 guests. Every year he emphasizes that the traditional Thanksgiving meal is especially for people who'll be alone. And for many senior citizens, it's a highlight of their social calendar. South Park Mall will provide the tables and chairs, plus a truck to bring more from North Park Mall. About twelve employees have volunteered their time to go pick them up, deliver them, and set them up in the space in front of Von Maur. Dinner will be served from 4 until 6 pm on Thanksgiving Day. And those who made reservations will get free bus rides from MetroLink. People who live in the Illinois Quad Cities can get a free ride and a free turkey dinner on Thanksgiving. 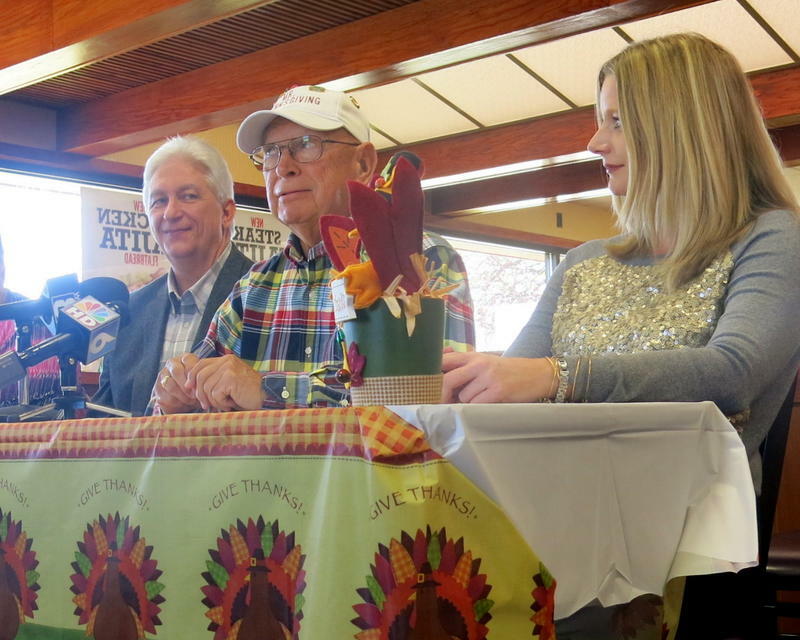 Tomorrow at noon is the deadline to make a reservation for MetroLink to pick up those who want to go to Mr. Thanksgiving's annual meal at SouthPark Mall in Moline. Mr. Thanksgiving is preparing to serve his 46th annual turkey dinner at South Park Mall in Moline. 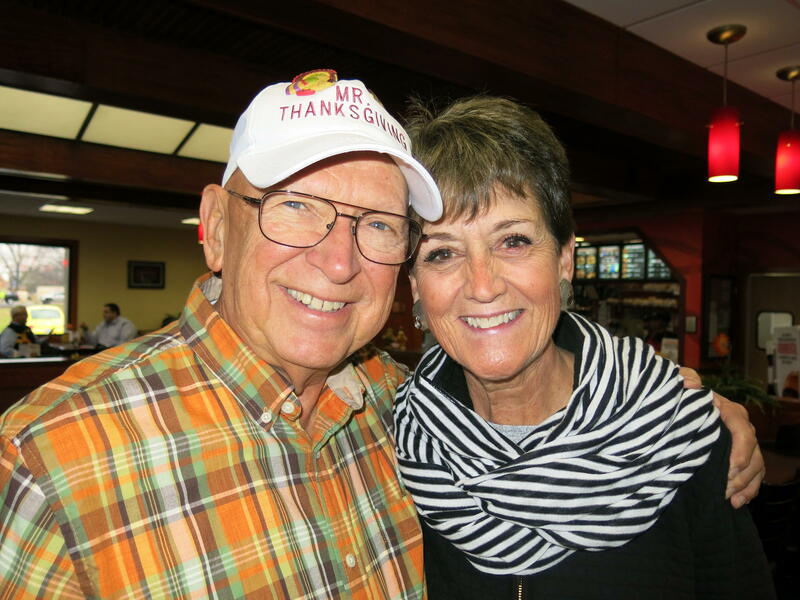 This morning, Bob Vogelbaugh invited everyone to the Thanksgiving Day meal. He also requested donations. As he has every year, Vogelbaugh extends a special invitation to anyone who would otherwise be alone. Mr. Thanksgiving is very relieved after reaching his fundraising goal for his 45th annual dinner. 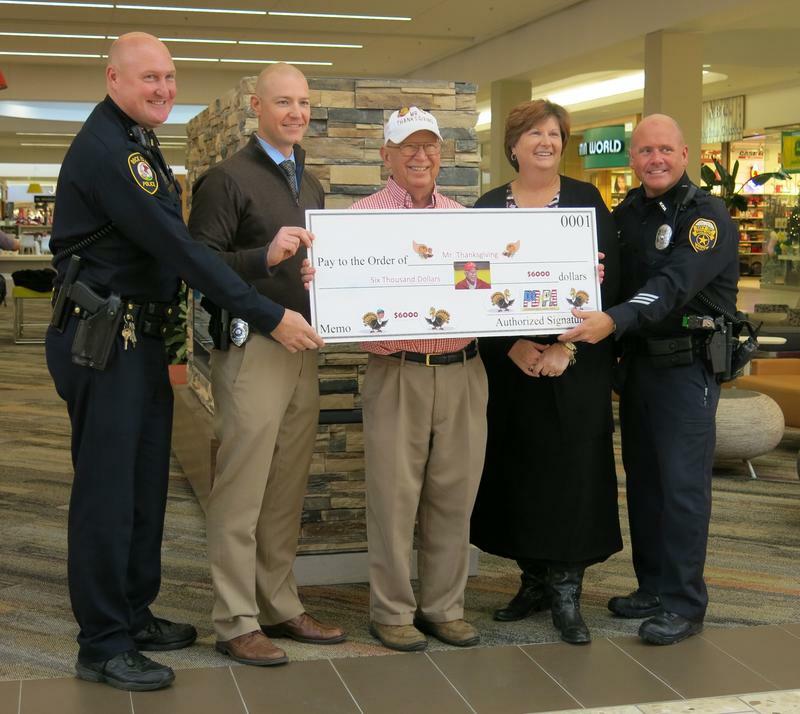 Today, Bob Vogelbaugh received $6,000 from the Moline, Rock Island, and East Moline Police benevolent associations, which brings donations to $16,000 total.